The Reflection Group has been asked to advise the European Commission about how to accelerate the process of digitalisation and access of cultural heritage. 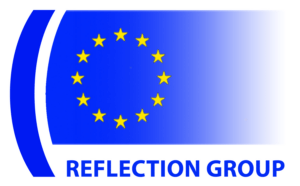 The Reflection Group is an independent group of 12 members, which started in 2008 and advises the European Union in various longer term matters. For this particular subject on cultural heritage, the group has set up a questionnaire to consult the field and gather there expertise.